Ricky "The Hitman" Hatton has made his way to the United States, landing in Las Vegas late last week as he continues preparations for his November 22 Ring Magazine World Junior Welterweight Championship bout against New York's Paulie "The Magic Man" Malignaggi at the MGM Grand Garden Arena in Las Vegas. 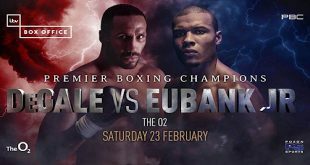 This plans to be a clash between the two best 140-pound fighters in the world and one of the most intriguing and exciting fights of 2008. Hatton, who switched trainers earlier this year, selecting highly respected American trainer Floyd Mayweather, Sr. as the new man in charge, will finish his last month of training in Las Vegas, a place he is familiar and comfortable with having fought his last three fights in the entertainment capital of the world. "It's great to be back in Las Vegas and get down to business with Floyd Mayweather, Sr. for my fight against Malignaggi on November 22," said Hatton. "Floyd was with me in Manchester and we are already comfortable working with each other. He's a great trainer and everything feels great. It's the best two junior welterweights in the world and it should make for a great fight." Mayweather, Sr. said, "Hatton is a very good fighter and I think I can add to his arsenal of abilities. We are now in Las Vegas where we can finish getting ready for Malignaggi. He will be sharp and ready to go fight night." An international superstar hailing from Manchester, England, the storied career of Hatton, 44-1 (31), began in 1997 and for the last 11 years, he has been thrilling fight fans around the world with his aggressive style in the ring and down to earth attitude outside of it. Owner of wins over Kostya Tszyu, Vince Phillips, Luis Collazo, Jose Luis Castillo and Juan Urango, Hatton - a two division world champion - fell short of the pound-for-pound and world welterweight championships in his 2007 super fight against Floyd Mayweather. 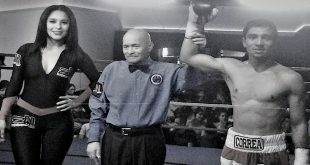 However, the 29-year-old bounced back impressively at his natural weight of 140 pounds in May as he scored a near shutout 12-round unanimous decision over Juan Lazcano. Known for his flashy style and pound-for-pound ability to out-talk any fighter in the world, Brooklyn's Malignaggi, 25-1 (5), has also developed a positive reputation for his heart and determination to overcome adversity throughout his seven-year pro career. 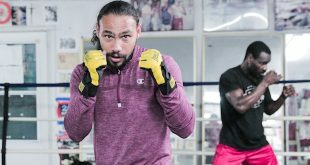 A dazzling boxer with a stiff jab, lightning speed and quick combinations, the 27-year-old gained a legion of fans for his gutsy effort in a 12-round defeat at the hands of Miguel Cotto in 2006, and even more followers jumped on his bandwagon when he nearly shut out Lovemore N'dou in 2007 to win the IBF Junior Welterweight World crown. Malignaggi has since defended his title against Herman Ngoudjo and in a rematch against N'dou, but a victory over Hatton is what this New Yorker is truly seeking. Hatton vs. Malignaggi is a scheduled 12-round battle for Hatton's Ring Magazine and IBO Junior Welterweight titles and presented by Golden Boy Promotions in association with Punch Promotions and DiBella Entertainment, and sponsored by Affliction Clothing and Cerveza Tecate. 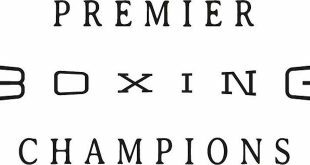 The world title bout will air live on HBO's World Championship Boxing. Tickets priced at $1,000, $750, $500, $300 and $150 are still available at any MGM Grand box office outlet and at all Las Vegas Ticketmaster locations (select Smith's Food and Drug Centers and Ritmo Latino). To charge by phone with a major credit card, call Ticketmaster at (702) 474-4000. Tickets also are available for purchase at www.mgmgrand.com or www.ticketmaster.com. For room packages and availability and event information at MGM Grand, call (800) 929-1111 or (702) 891-7777 or log onto the World Wide Web at www.mgmgrand.com.